Delicate Particle Logic – the Art! As I research the Art references in the play, it is an exciting journey that leads me to the birth of “modern art”! Edith was an art student in 1911 (when Hahn met her). She would have been aware of the revolutions going on in painting, all centered in Germany (Munich, Berlin and also Paris). She would have seen the exhibits of the new German Expressionists (building off Post-Impressionism, Fauvism, and Cubism) that came to Berlin. 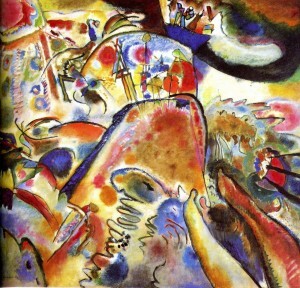 Particularly the Blue Rider School (Der Bleue Reiter) founded by Kandinsky, Marc, and Klee. These (especially Kandinsky) are credited with the first truly abstract paintings, leaving form and figure behind. Just as the discoveries of Einstein and the Curies were leading to a revolution in Physics and Chemistry, so it was in the art world!….and all at the same time, and in the same places! How extraordinary! Where will this go? Bruce produced a successful independent feature film (‘East of Sunset’, 2005), and has been on staff at the Palm Springs Film Festival, AFM, AFI, and various other film festivals. 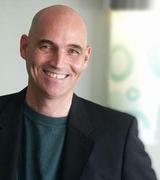 Bruce Coughran is available for consulting on various stages of the film production and distribution process. Contact him by email for more information.